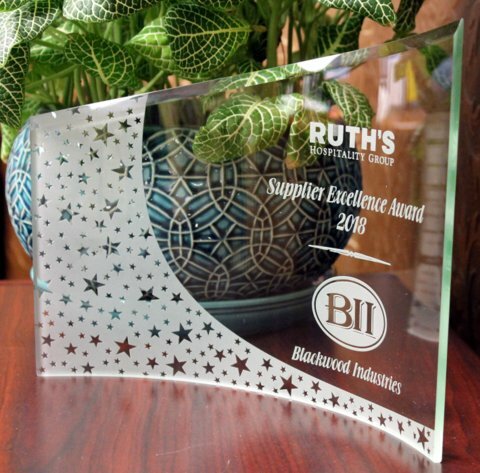 Congratulations to Blackwood Industries, our 2018 supplier of the year. Blackwood, who manufactures all china and silverware for us, has been a valued supplier of over 13 years. They earned this award based on their outstanding quality, zero supply breaks, continuing to find ways to not increase costs over the past five years, and their commitment to innovating and partnering with us. 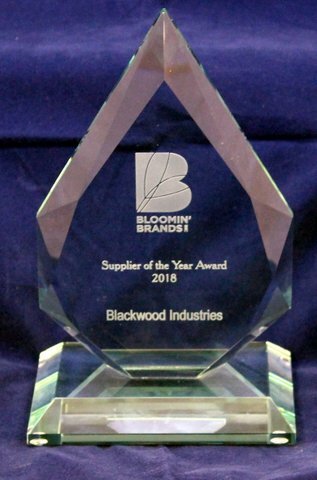 Blackwood Industries was awarded 2018 supplier of the year for Bloomin’ Brands. Blackwood has a long-standing relationship with Bloomin’ Brands and was given this award based on their stellar service. Continually providing tabletop supplies that are top quality at a fair and affordable price. Looking for new experience in restaurant supplies. Partner with us to see what award-winning service looks like. We help all of our clients achieve goals in cutting cost and improving quality.